The Gutsy Generation: To accept, or not to accept!? 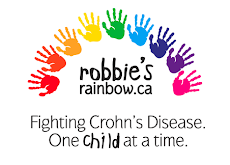 Ever since I was diagnosed with Crohn's Disease I have always said that I live by the quote "I have Crohn's Disease, Crohn's Disease does not have me." Recently I've realized that I don't really live by this quote as much as I like to think that I do. Physically I live by it, because I don't allow the fact that I have Crohn's stop me from doing anything that I've ever done before or anything that I want to do. I still push myself daily to do all the things I did before Crohn's Disease, and I don't plan to ever stop. However, mentally Crohn's Disease definitely has me. Some days I don't have a problem, and it doesn't bother me, other days I feel like my world has been taken from me, and I'll never truly get it back. Recently my boyfriend made me realize this, he showed me without realizing what he was showing me. He always tries to make me feel better about myself, make me feel like I don't have Crohn's, and make me feel like I'm no different then the stranger walking down the street. I've found this really hard to accept, maybe mostly because I'm the baby in the family. I've always been spoiled(my sisters will LOVE me admitting that one), and babied to some extent. When I got sick, my parents were always right there beside me whether it be wiping my tears away, crying with me, or even laughing with me. They were there after every surgery, and with every step to recovery that I had to take. I guess I got really used to it. Also, when I was first diagnosed I always talked to a counsellor for pretty much the first 7 months. I found it hard at first to go from talking to someone daily to talking to no one, but I wasn't going to admit it, because I always kept things to myself growing up. I guess in the long run, keeping alot about how I feel about my Disease has caught up on me, and it was hard for me to accept that I haven't really fully accepted my Disease yet. I was diagnosed almost 5 years ago, and I still get upset about having Crohn's. One day I'm perfectly fine about everything, I don't care that I've been sick, I don't care about what I've gone through, and I don't think about what I might have to go through in the future. Other days, I feel like everything I went through was just yesterday, I feel like my life has been stolen from me, and I think about all of the "if's" when it comes to my future with Crohn's. I've had days home alone when I just lay in bed crying, thinking "why me". I find it hard to think about the concept of "it could always be worse". I find myself only thinking about where I've been, and what I've gone through. I find myself thinking about how differently my life would be if I had never gotten sick, where I could be, and what I could be doing if my life had turned out differently. Maybe now that I've accepted that I haven't accepted my Disease yet, it might be easier to slowly find a way to accept it. I'll still have my days when I'll get upset and get down on myself, which I think is pretty normal, but hopefully I can make those days less often and less frequent, perhaps eventually almost non existent?